Game designer Jane McGonigal tried to convince Comedy Central's Stephen Colbert yesterday that playing video games helps people to be more confident. He's got his unique way of interpreting things. McGonigal argued that controlling an avatar even if just for 90 seconds can give someone a confidence boost for a full day. 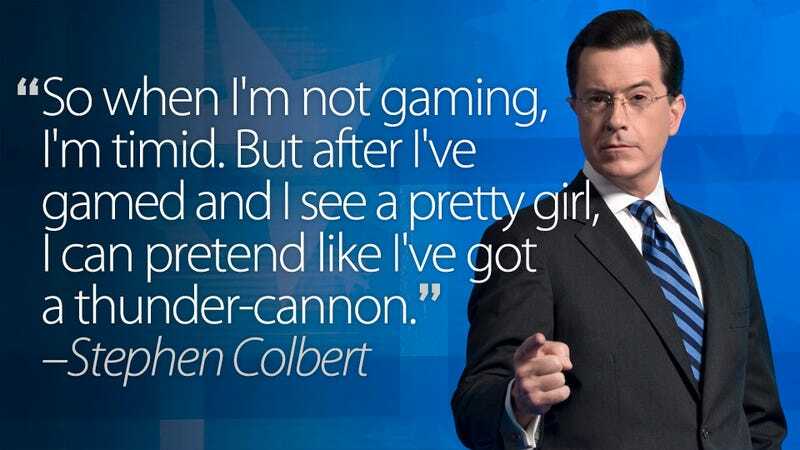 Stephen Colbert needs no confidence boost, of course. Maybe that's a result of a lot of gaming? McGonigal is on a media tour for Reality is Broken, a book in which she talks about the potential for games (video and otherwise) to have positive effects on individuals and society.